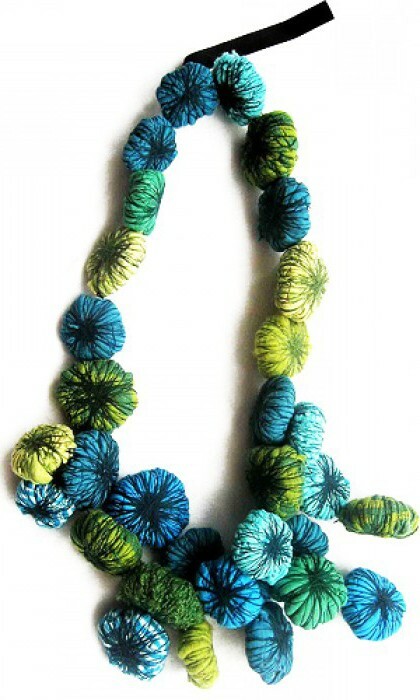 Jewelry is an easy and beautiful craftwork to make with T-shirt yarn, because you can make ecologic pieces to wear in any season. There are a lot of models of T-shirt yarn jewelry, but a very good idea is to make simple accessories and decorate them with fabric flowers. 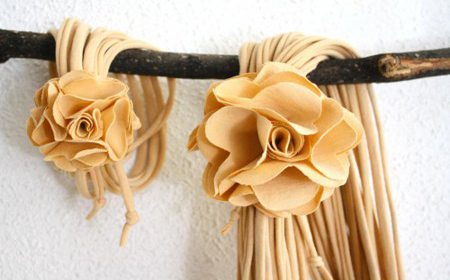 Some time ago we showed you how to make rolled fabric flowers.There are other ways to create fabric flowers to decorate T-shirt yarn jewelry, soon we are going to share with you some of these techniques, but for now, check these creations and get inspired to make your own models. The roses in the cover photo are a conventional model, as beautiful as this innovating design (blue necklace). 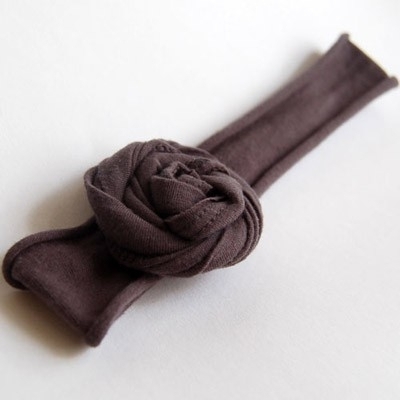 You can make different kinds of fabric flowers, and in the web you can find a lot of tutorials to learn how to make fabric flowers that combine with T-shirt yarn jewelry. 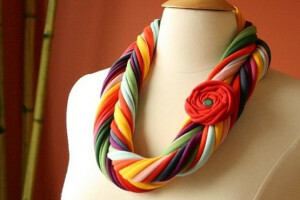 If you want to see other models of T-shirt yarn jewelry just check Ideas to make jewelry with T-shirt yarn and fabric. This entry was posted in Jewelry and Accesories and tagged decorate jewelry, fabric flowers, ideas, jewelry and accessories, t-shirt yarn jewelry on November 7, 2013 by Sue. will come back in the foreseeable future. I want to encourage continue yohr great work, have a nice weekend!